An exciting series of centennial events will take place in 2009 to pay homage to Highlands-Cashiers Land Trusts (HCLT) rich history and illuminate the community to its very bright future. HCLT is the oldest land trust in all of North Carolina and among the first 20 in the United States. Like most things, HCLT began very simply the concept of a handful of concerned citizens who didnt wish to see the face of a mountain transformed by another hilltop hotel. The group, created in 1883 under the name of The Highlands Improvement Society, set out to protect, preserve and promote the natural beauty of Highlands. They slowly realized their vision by building trails and planting trees, and in 1909 had raised $500 to purchase 56 acres at the summit of Satulah Mountain. From these humble beginnings, Highlands Improvement Society has grown into the Highlands-Cashiers Land Trust, a 501(c)3 organization that currently protects 1,160 acres along the Highlands-Cashiers Plateau. June 6 Celebrate Land Trust Day! Show your support for the Highlands-Cashiers Land Trust by shopping and dining at some of your favorite local merchants. A portion of the proceeds benefits HCLT. June 6 Highlands Improvement Society Social hosted by the Highlands-Cashiers Land Trust Take a step back in time to learn what life was like on the Plateau in 1909 during this very special Centennial Event. Enjoy a picnic dinner, take part in a cakewalk, toss some horseshoes and dance to live music set against the backdrop of scenic Whiteside Cove Road. Terrific opportunity to learn more about the history of the land trust, its founding members and its first purchase of land the summit of Satulah Mountain. Period costumes are optional, but encouraged. 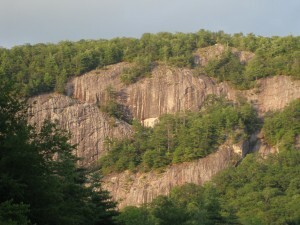 Festivities begin at 6 p.m.
June 7 Where It All Began hosted by the Highlands-Cashiers Land Trust Enjoy high tea on the summit of Satulah Mountain the site of the Highlands Improvement Societys first land purchase one hundred years ago. Afternoon includes a skit by Highlands Historical Society president, Elaine Whitehurst and the music of bag piper, David Landis. Period costumes and kilts are optional, but encouraged. Event begins at 4:00 p.m.
June 26-28 Walk in the Park with the Highlands Historical Society Features portrayals of past Highlands leaders, the formation of the Highlands Improvement Society and the founding of the Highlands-Cashiers Land Trust. Tickets are $15 students admitted free. June 26 and 27 6-7:30 p.m. Highlands Memorial Cemetery (shuttle from Recreation Park); June 28 4 p.m. Performing Arts Center on Chestnut Street. The Highlands-Cashiers Land Trust has always relied upon the generosity of its community to thrive. We hope you will consider showing your support by attending these events with your friends and family, or by donating your time, land or monetary gifts to this wonderful cause. 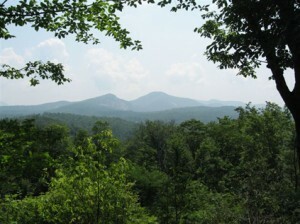 Together, we can help preserve the natural beauty of our home on the Plateau! For more information about HCLT and ways you can help, visit www.hicashlt.org or call 828.526.1111.